New Orleans isn't the only place to enjoy all the fun of Mardi Gras. The Grand Strand will host plenty of awesome Mardi Gras parties that give you a great reason to plan a vacation to Myrtle Beach! Book your Myrtle Beach condo with Beach Vacations today and enjoy some good times at any of the area Mardi Gras-themed events! Restaurants and bars at area destinations like Broadway at the Beach and Barefoot Landing are sure to have special Mardi Gras themed events, but year in and year out, the most popular Mardi Gras party around the Grand Strand will take place at the Murrells Inlet Marshwalk with their 7th Annual Marshi Gras celebration! Taking place on Tuesday, February 13th, the Marshi Gras festival celebrates the opening of Mardi Gras along the beautiful waterfront of the Marshwalk, with area restaurants and bars like Wahoos, Dead Dog Saloon, Wicked Tuna and Creek Ratz giving out party favors and featuring special Louisiana-themed food and drink. The event kicks off at 5 PM leading up to an amazing parade leaving from Wicked Tuna at 7 PM, with costumed guests and a live band travelling throughout the Marshwalk all the way down to Bovines. Marshi Gras also is hosting a huge costume contest with over $1,000 in cash and prizes awarded to the winners! Whether you're out to dress up and win or just to enjoy checking out the off-the-wall costumes, it's sure to be a fun-filled event! With various Mardi Gras events taking place beginning the weekend prior and culminating with Marshi Gras on Fat Tuesday, the coming weeks are a great time to make a trip to Myrtle Beach! 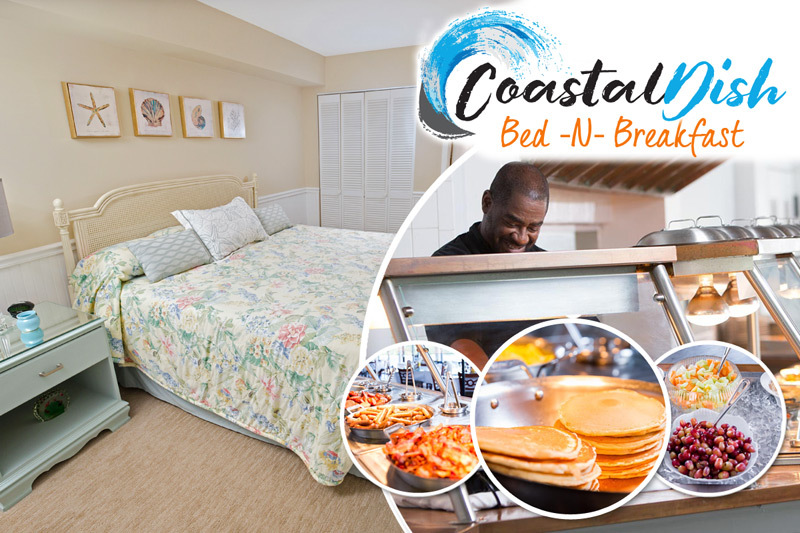 And with Beach Vacations, you're sure to find the perfect Myrtle Beach vacation rental for your Grand Strand getaway. Check out our amazing catalog of Myrtle Beach condos at our fantastic properties, where you're sure to find the perfect spot for your upcoming trip to Myrtle Beach!